Over the years, I’ve heard dozens of clients telling me that online reviews were the least of their problems. And to be honest, I’ve only started to worry since I noticed their e-commerce experts telling them that they were right. The fact that 88% of online shoppers consider reviews into their purchase decision should make them both aware that they are wasting a huge opportunity to increase their sales. Worst thing is, more often than not they refuse to implement a review system because they are afraid of receiving none, or only negative ones. What they fail to understand is that consumers are more empowered than ever and that they will review their experience, whether it’s on the company website or social media platforms. So what should you do? Let people talk behind your back or join the circle and handle it yourself? The answer looks pretty obvious to me. Rating systems are the number one factor used by consumers to form an opinion about their experience with a company and its products. If you’ve been shopping on Amazon, you’ve probably already used the most common form of rating, which is the simple star rating system. 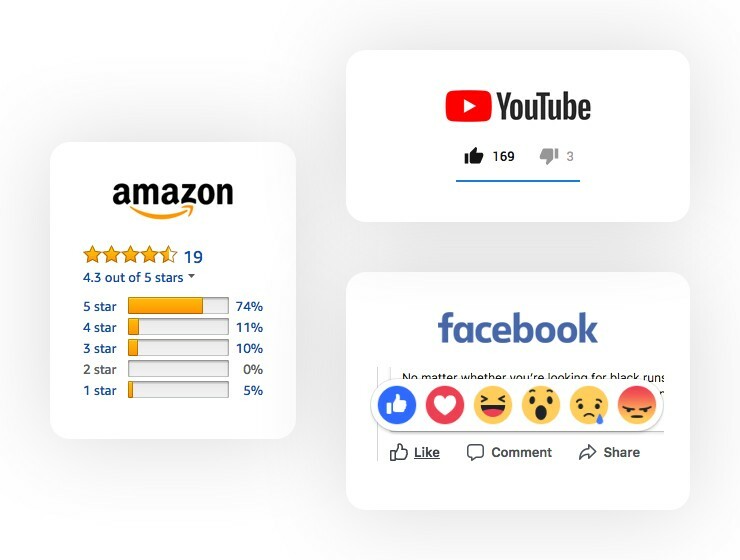 Even though we’ve recently seen more and more alternative forms of rating being implemented, from the Thumb up / Thumb down option on YouTube to the emotion rating system using emojis on Facebook; the star rating system is still the most popular one on e-commerce stores. In fact, 58% of consumers pay more attention to it rather than to the sentiment, recency or quantity of reviews. Problem is, even though rating systems are easy to understand, they don’t actually say a lot. On the other hand, reviews are real stories shared by real people. They are the digital equivalent of word of mouth and 84% people trust them as much as personal recommendations. 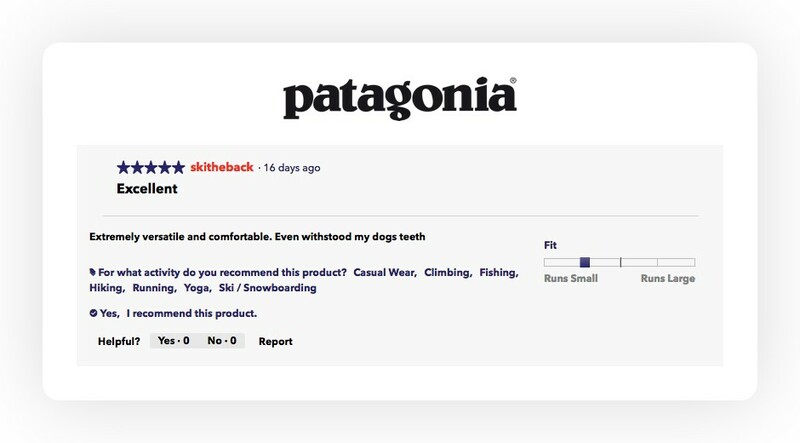 In fact, the more reviews contain lifestyle details on actual clients experiences, the more they feel authentic and are trusted by potential customers, rather than official descriptions from manufacturers. Overall, not only reviews generate a unique content for your SEO, but they can ease the purchase decision process for potential customers. So imagine that you just implemented a rating and reviewing system. You are getting more and more feedback on your products and your sales are increasing. But somehow, one day, conversions starts to stall. How do you get to know what’s in the way? Here’s a hint: what if you just asked your customers? Surveys provide fast and relevant results about how satisfied your clients are, not only about your products but about their overall experience with you (buying process, quality of information, customer support, etc.). All collected data could help you adjust your marketing strategy by figuring out what you’ve been doing right, what’s not working and how you could improve your customers’ satisfaction. Plus, a little communication between brands and consumers never hurts anyone. Start by asking for reviews! 7 out of 10 consumers are willing to leave a review if they’re asked to; but you might want to include an incentive such as a coupon code to generate more brand commitment. 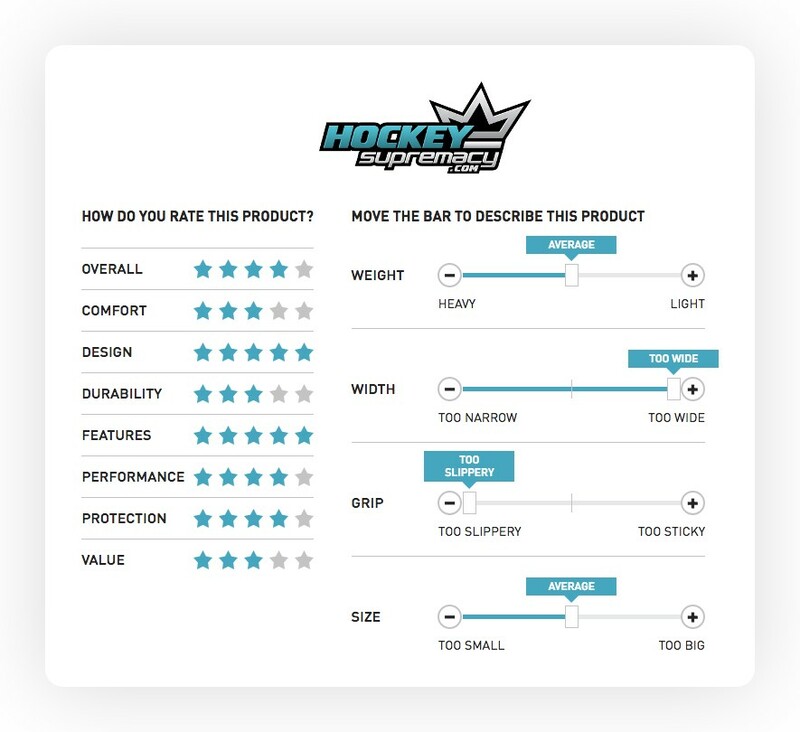 Make it easy to filter products based on ratings and reviews. It will help users quickly find the best quality product. Allow ratings and reviews from registered users only. This may prevent competitors writing trash comments about you, and will reassure your customers about the truthfulness of existing feedbacks. Give recurrent customers titles such as “certified buyer” or “verified shopper”. This will promote them as brand ambassador and make their opinion even more trustworthy to other customers. Create simple ratings for different key parameters of a single product. For instance, if you’re selling a camera, let users rate the zoom, battery, storage, price, etc. It will allow users to quickly describe a product and be a good addition to an overall star rating system. When reviewing a product, enable your customers to enter personal information about themselves (age, location, size, etc.). We tend to buy from people like us so this setting will help potential clients identify with current ones. Imagine you are buying a surfboard, wouldn’t it be easier to compare your own profile (height, weight, level, etc.) to a similar customer? 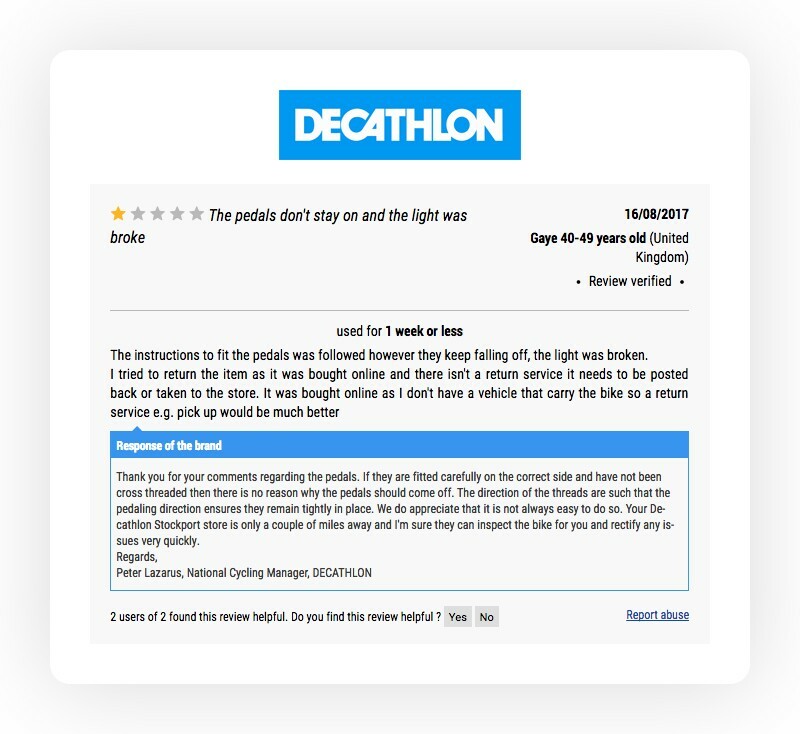 Let users leave feedback on existing reviews. For one, acknowledging customers strengthens your community. Then, this feature is also relevant when you actually have too many reviews, as it will enhance the most popular and useful ones. UX expert Jared Spool said that this tweak was responsible for $2.7bn of revenue each year at Amazon. Not bad! Optimize your cross-sell and upsell strategies based on a client profile and reviews. Once you know what kind of products, features, fabrics… your customers like and dislike, it’s easy to offer them similar or better ones. Embrace it! Negative reviews are inevitable. Good thing is, they actually make you more relatable. In fact, 95% of consumers suspect censorship or faked reviews when they don’t see negative feedback, and 68% of them trust reviews more when they see both good and bad scores. Somehow, unhappy Karen just makes you look honest. Learn from it! Instead of editing or even deleting Karen’s comment, try to figure out what went wrong with her experience. Not only negative reviews allow you to know a bit more about your customers, but overall they may also help you improve your products. Handle it! Negative reviews give you a chance to show how efficient your customer service is. Being responsive with Karen’s negative feedback could help you gain her trust again: 84% of shoppers said they would use a retailer again if they responded to a negative review by addressing their concerns. Furthermore, you dealing with bad reviews will show other customers that you care about their satisfaction. Invest your time, not your money! Surveys can be free or for little cost, using Google Forms or actual NPS softwares such as SurveyMonkey. Don’t rush it! Send out your survey once you know your clients received your product and actually had the chance to use it. Make it short and sweet. Limit your topics, group your questions by subjects and notify users about how much time they’ll need to entirely complete your survey. 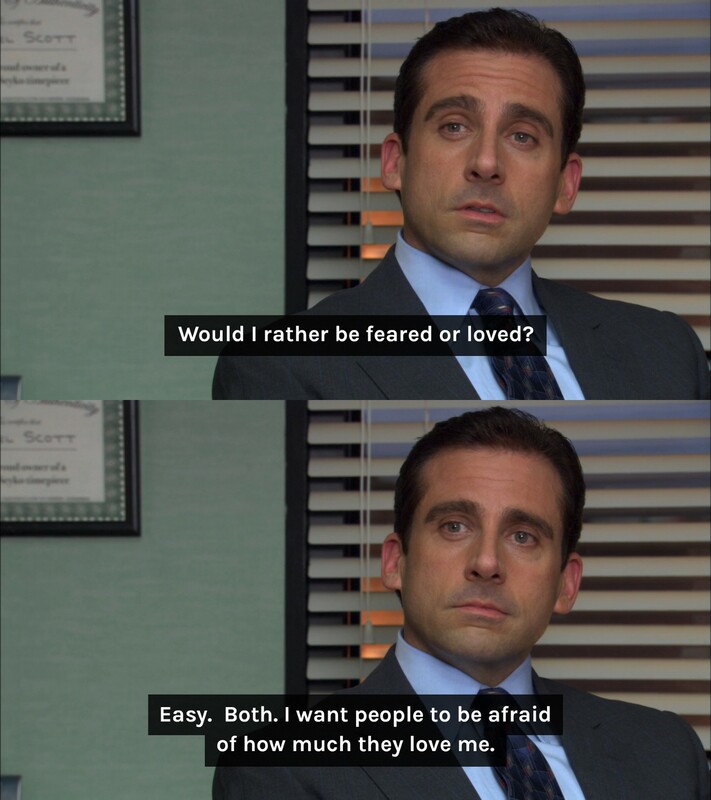 Be irresistible. 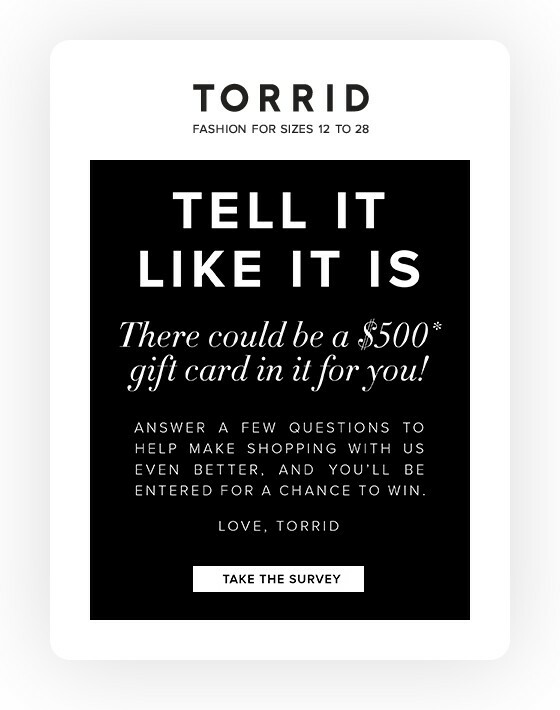 Just like when trying to get products reviews, invite your customers to take your survey by triggering their wallet and emotions. For instance, offer them a discount on a next purchase and tell them that their opinion is valuable (“you can make us better!”). Identify your customers. Start with general screening questions (gender, age, location, economic status, etc.) to know your target. These information will help you categorize your clients once you get to the analyzing data part. Find out relevant information. Ask why and how questions about their buying habits, loyalty to competitors, willingness to recommend your products, etc. Make sure you include “Don’t know” or “Not applicable N/A” options, so that uncertain users can still answer. Offer an open comment section. 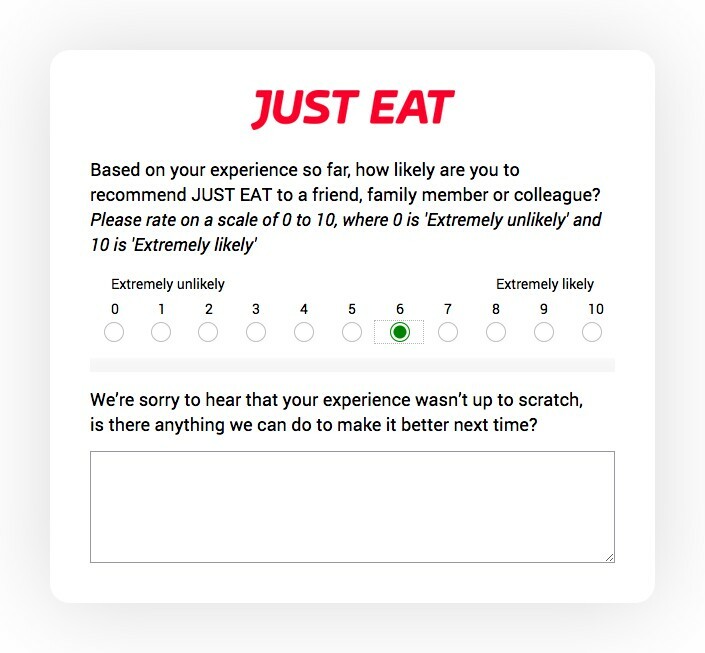 If your customers agreed to fill out your survey, they probably want to be heard and there might be a question that you forgot to ask. By letting users tell you what’s on their mind, you could discover issues that you were unaware of. Hello, it’s 2018 soon and people not only talk at the hairdresser’s but online too. Ratings and reviews do have a direct impact on purchase behavior and sales! By encouraging honest feedback from your clients, you’ll improve your revenue, reputation, products and overall UX. A bad review is better than no review! Deal professionally with negative feedback, answer every single complaint and show your customers that their satisfaction is important. Start a deeper conversation with your consumers and collect information through satisfaction surveys. They’ll make your clients aware that you care about their opinion and that you want to serve them better. What are your thoughts on online reviews and surveys? I’m curious to hear from you. Let’s talk!